Complex sonar sequence recorded in Haro Strait on 1/13/2016 via the Orcasound hydrophone (~5km north of Lime Kiln State Park). When the sonar was heard and recorded by members of the Salish Sea Hydrophone Network the Canadian Naval vessel HMCS Ottawa was observed (via AIS) transiting Haro Strait in U.S. waters about 10-20 km north of the hydrophones. This juxtaposition led us to initially assert that the Ottawa — a Halifax class frigate which carries active sonar — was the source of the sonar pings, reinforced by the activation of the test range (area Whiskey Golf off Nanaimo) on 1/12 and 1/14. 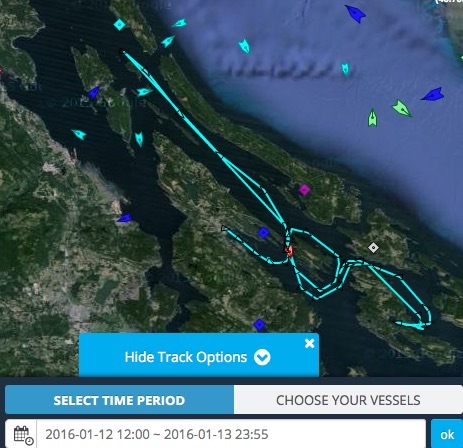 However, a proactive call to Beam Reach on 1/14/16 from Danielle Smith, Environmental Officer for Canadian Forces Base Esquimalt, suggested that the Ottawa was not the source. Specifically, she stated that active sonar use was not in their plan when they last departed. She also said she spoke directly with the Ottawa’s Commanding Officer who confirmed with the crew that the transducers were not lowered, and that therefore there was no way their SQS-510 (medium frequency search sonar system) could have transmitted (e.g. sometimes calibrations underway go unreported). Finally, she communicated that their senior sonar techs were confident that the recorded frequencies were not consistent with the Ottawa’s 510 system. 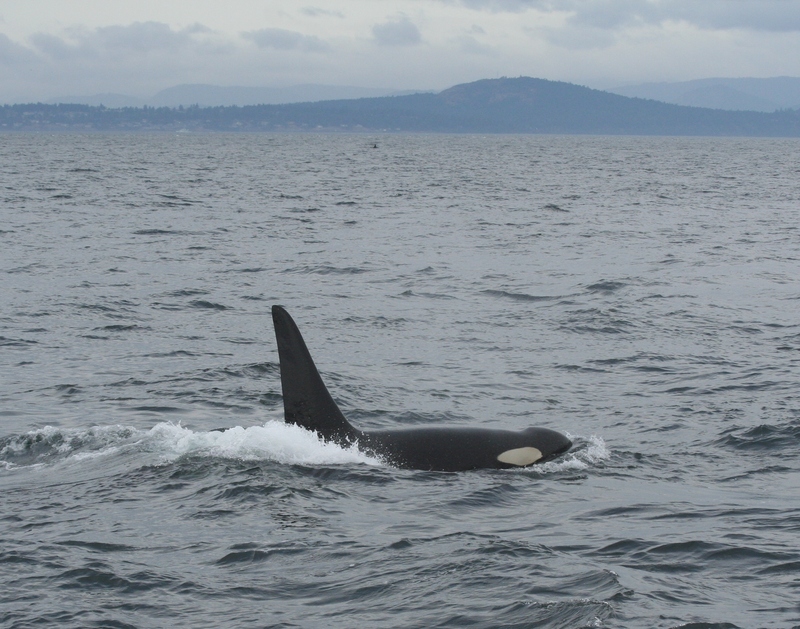 When asked, she confirmed that the sonar system had not been upgraded since it was last recorded during the 2012 vent in which the Ottawa disturbed and possibly damaged the endangered Southern Resident Killer whales. Other sources of information also suggest that the U.S. Navy may have been the source of the sonar pings. Furthermore, comparison of the times of the recorded sonar pings and available AIS tracks suggests that the sonar was recorded when the Ottawa was located between the north Henry Island and Turn Point at the northwest tip of Stuart Island. If the source was the Ottawa, why would it have utilized sonar only while within U.S. waters (about 1-2 km east of the International Boundary). During this period, the Ottawa was about 8-16 km north of the recording hydrophones. Pending computation of the calibrated received levels, the qualitative intensity of the received pings suggests that the source was closer than the Ottawa’s AIS positions allow. Smith’s statements and these observations raise a key question: were U.S. vessels in the area emitting these sounds that are similar to those emitted by the US destroyer Shoup in 2003? This possibility is alarming because the U.S. Navy has refrained from training with active sonar within the Salish Sea since the Shoup sonar incident of 2003 (which disturbed endangered Southern Residents, as well as a minke whale and harbor porpoises). (The U.S. Navy has tested sonar since the Shoup incident: during the San Francisco submarine event of 2009 and the Everett dockside event in 2012.) Also, the U.S. Navy more recently has agreed to minimize the impacts of its mid-frequency sonar. Portending a worrisome trend, at the start of 2016 news surfaced that the U.S. Navy planned operations in the Pacific Northwest that might include “mini-subs” and beach landings beginning in mid-January, 2016. No recent AIS tracks of US military vessels have been archived by marinetraffic.com, suggesting that the Navy vessels’ AIS transceivers may have been turned off based on their mission. Visual observations demonstrate that U.S. Naval ships were active on 1/13/20016. At least one U.S. 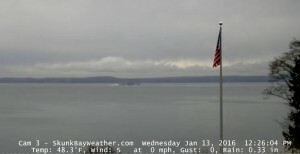 Naval ship, possibly a frigate, was seen departing Everett around mid-day by Orca Network. Slightly earlier, between 10:30 and 11:30 a.m Howard Garrett of Orca Network saw two Navy ships transiting northward up Admiralty Inlet about 15 min. apart. The first one looked like the Shoup, complete with the cannon on the bow; the second looked more like a supply ship. Below is the response to your question: Did the DDG obtain permission from the Commander of the Pacific Fleet in advance of this use of MFAS in Greater Puget Sound? The Navy did not anticipate this use within the Strait of Juan de Fuca. The use of sonar was required for a deployment exercise that was not able to be conducted outside of the Strait due to sea state conditions. The Navy vessel followed the process to check on the requirements for this type of use in this location, but a technical error occurred which resulted in the unit not being made aware of the requirement to request permission. The exercise was very brief in duration, lasting less than 10 minutes, and the Navy has taken steps to correct the procedures to ensure this doesn’t occur again at this, or any other, location. 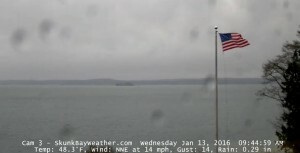 The Navy also reviewed historical records to confirm this event has not occurred before and was a one-time occurrence within the Puget Sound/Strait of Juan de Fuca. The Navy reported the incident to NMFS and NMFS determined that no modifications to the Navy’s authorization are needed at this time. 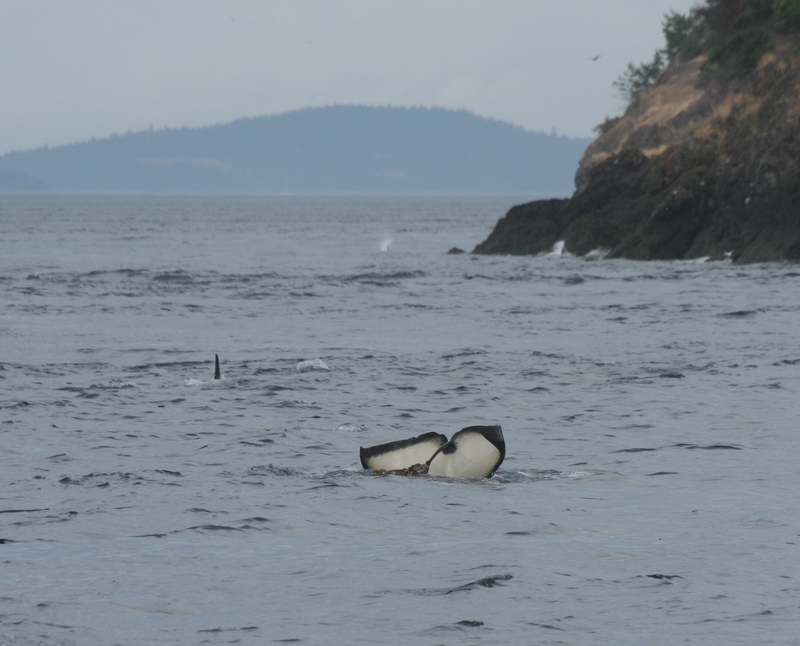 Below is a chronology of events, wildlife sightings, and acoustic analysis that we hope will help document the event, including the source of the sonar and any impacts on marine life of the Salish Sea. 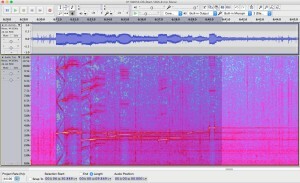 Spectrogram of 8-minute recording from the Lime Kiln hydrophone. 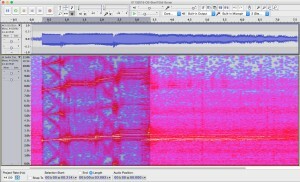 Spectrogram of 8-minute recording from the Orcasound hydrophone. Assuming that drift in the Lime Kiln recording has corrupted its time base, we use the Orcasound to establish timing of the event. 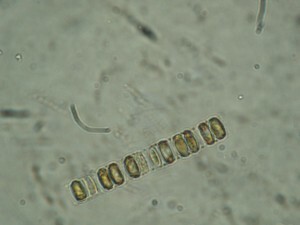 Overall, the event consists of a pattern of broadband pulses and ~30-second sequences of frequency modulated (FM) slide and narrowband continuous wave (CW) pulses. The ~9-minute pattern was: two simple, ascending FM+CW sequences, 52 broadband pulses (2.5-3.0 kHz) about 6.7 seconds apart, and then 5 more FM+CW sequences. 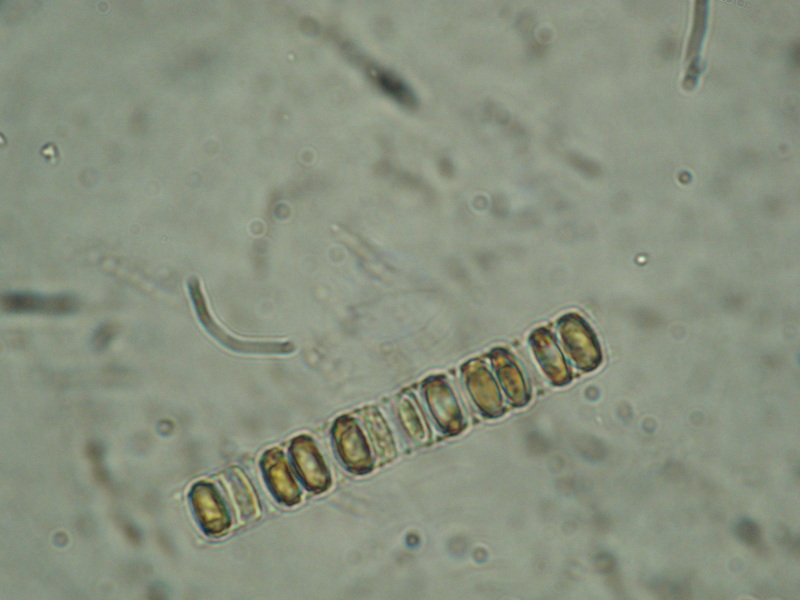 The initial and final FM+CW sequences were distinct. The first two were relatively simple and consisted of: a 2.5-2.6 kHz rise for ~0.5 seconds, 2.75 kHz tone for ~1 second, another 0.5 second rise from 2.85-2.95 kHz, and finally a 3.1 kHz tone for ~1 second. The more complicated sequence that is repeated 5 times at the end of the sonar event (around 11:00-11:03 a.m.) is described below (in the section that makes a comparison with SQS-53C sonar sequences emitted by the Shoup in 2003). The broadband pulse echoes were audible and were received on average 3.4 seconds after the direct path pulse. This time delay indicates a mean extra distance traveled of about 5 kilometers, though there was a clear trend from about 5.7 to 4.4 km over the course of the 52 pings. Further quantitative analysis of the acoustic data is included in the 13 Jan 2016 sonar chronology Google spreadsheet. 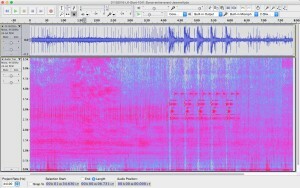 The larger data files are archived and shorter clips and associated spectrograms are embedded below. Below is a 2-minute recording of the Orcasound hydrophone (by another hydrophone network citizen scientist) at 11 a.m. on 1/13/16 containing 4 sonar ping sequences. Each sequence lasts 30 seconds and contains a series of complex rising tones followed by single 3.75 kHz tones at about 9 and 22 seconds into the sequence. 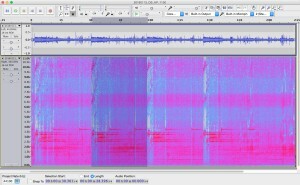 Spectrogram of the final 4 repetitions of the more complex sonar sequence. 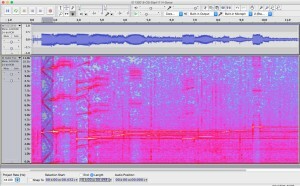 Spectrogram showing the detailed pattern of sounds during one of the more complex sonar sequences. Spectrogram of a single ping on the Orcasound hydrophone at 10:55 a.m.
Spectrogram of 0.5 second sonar pings at 3.25, 6.5, and 9.75 kHz recorded on the Orcasound hydrophone. Spectrogram of a single ping from the SQS-53C sonar during the 2003 Shoup incident. 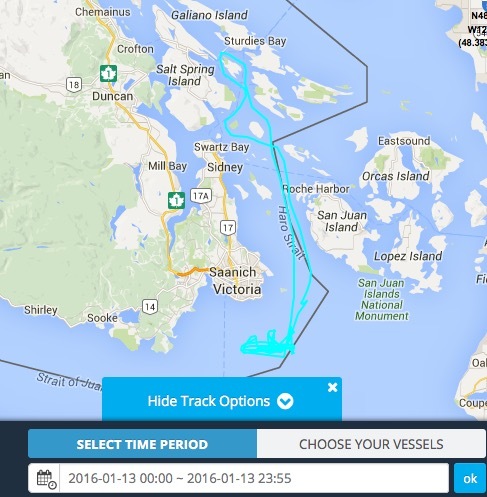 Complex sonar sequence recorded in Haro Strait on 1/13/2016. Overall, the ~10-second sequence has fundamentals and pure tones are between 2.5-3.75 kHz. This makes it distinct (lower frequencies) from the 6-8 kHz tones of Canadian SQS-510 system. The initial 0.5-second tone has fundamental at 3.20 kHz rising to 3.35 kHz, with intense harmonics at 6.43-6.60 and 9.60-9.90 kHz. 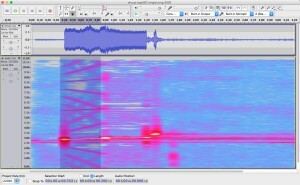 This is followed by a 1.0-second pure tone at 3.45 kHz. A second 0.5-second tone rises from 2.50-2.63 kHz, with a weak first harmonic at 5.0-5.2 kHz and a moderately intense second harmonic at 7.5-7.8 kHz. 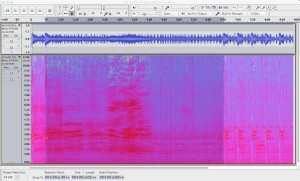 This is followed by a 1.0-second pure tone at 2.73 kHz. There’s a third pair of rising and pure tones at intermediate frequencies, followed by a pause for reverberations/listening, and then a repeat (at lower source level?) of the second and initial phrases. Finally, there is an ending 0.5-second pure tone at 3.75 kHz. The Canadian frigate Ottawa was observed in Haro Strait at the time of the sonar pings. If the time of the recordings and AIS locations are accurate, then the Ottawa was approximately 8-16 km north of Lime Kiln and Orcasound when the sonar sounds were recorded at those hydrophone locations. 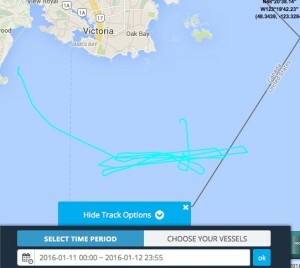 AIS track of the Ottawa on 1/11 to 1/12. AIS track of the Ottawa on 1/13. AIS track of the Ottawa on 1/14. 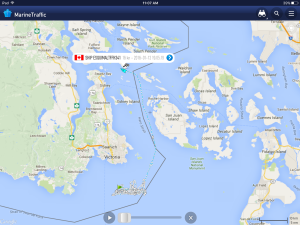 The Canadian Orca class patrol vessel, Caribou 57, was also active and tracked on AIS. 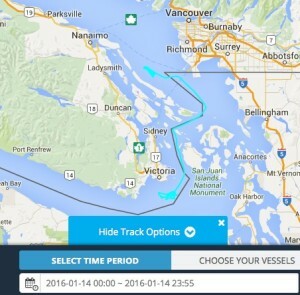 From Tuesday 1/12 noon through 1/13 it was patrolling withing the southern Gulf Islands. Track of the patrol vessel Caribou 57 on 1/12-13. I have been waiting to return to San Juan Island for 5 years. The first time I came to Friday Harbor, I was 15 years old. I arrived in Washington with the hopes of seeing a wild orca, and I began my hunt on the ferry to the island. I stood on the chilling bow, wind-whipped and shivering in 4 layers of clothing, scanning the horizon for black dorsal fins and telltale plumes of mist suspended in the air. I knew the chances of seeing whales before I had even reached San Juan Island were slim, but I simply could not contain my excitement. 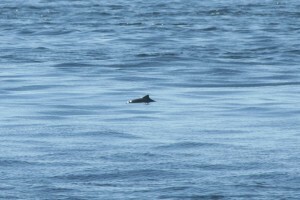 About halfway through the ferry ride, I noticed a zodiac idling a mile or so away. The people on the boat were obviously looking at something, and I squinted my eyes to get a better look. 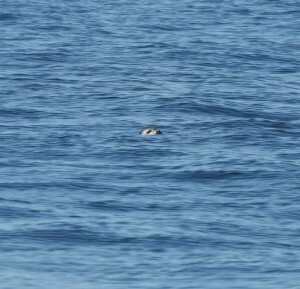 Moments later, a black shape rose out of the water, and my heart skipped a beat – orcas. Somehow my father managed to snap a photo of me at this exact moment, and I can only describe the expression on my face as one of pure, unadulterated joy. In suburban Ohio where I grew up, the closest thing to wild orcas are captive animals who lead sad half-lives at Sea World; it was an absolute thrill to see these animals swimming freely in the Salish Sea. 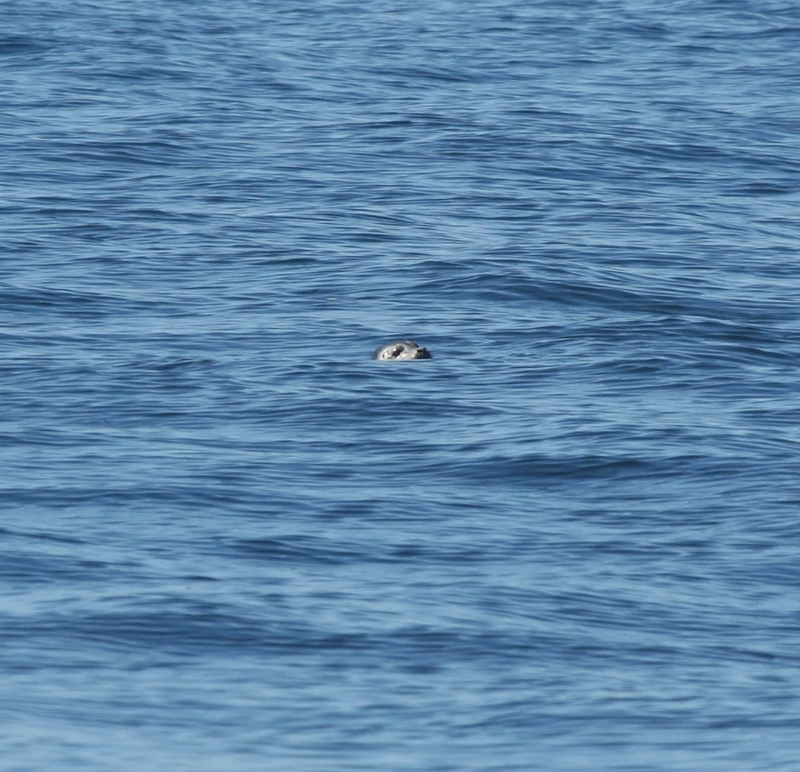 This unexpected encounter set the trend for the remainder of my trip – I saw orcas nearly every day. I watched whales cruise by the lighthouse at Lime Kiln State Park and I followed them through the fog on a whale watch. The only way I managed to leave the island without dissolving into tears was to promise myself that I would return someday. As I boarded the Anacortes ferry one week ago, I was overcome with the same child-like excitement I felt during my first ferry ride. I had waited so long to be reunited with this thick, fragrant air, the ethereal cathedrals of tall, leaning trees, and, most of all, the whales. After seven days on the island, I have still yet to see an orca, but my disappointment has been tempered by a multitude of other wildlife experiences. Friday Harbor Labs is situated within a biological preserve, and the area is bursting with life. I have had close encounters with deer, sea lions, slugs, foxes, and river otters, temporarily satiating my desire for animal contact. I have started to use our Sibley’s bird guide to identify the birds around our duplex (including a Red-Shafted Northern Flicker that has been drilling noisily on a metal lamp outside our window for the past few days) in an effort to hone my observational skills. 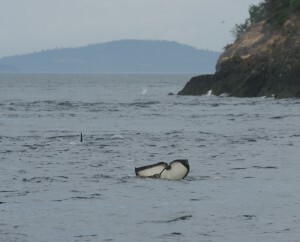 While these experiences have been fulfilling, there is still part of me impatient to get out on the water – I listen to the hydrophone network daily, ears tweaked for sweeping killer whale calls, and even though I know they don’t frequent the east side of the island, I keep an ear out for the gunshot ring of whales coming up for air. We’ll be out at sea in two short weeks; in the meantime I will enjoy the company of other creatures and bask in the knowledge that I am finally back in this wonderful place. #4 hydrophone 30 feet depth. #3 hydrophone 35 feet depth. #2 hydrophone 44 feet depth. Bearing from #2 to #1 is 220 degrees. #1 hydrophone 57 feet depth. 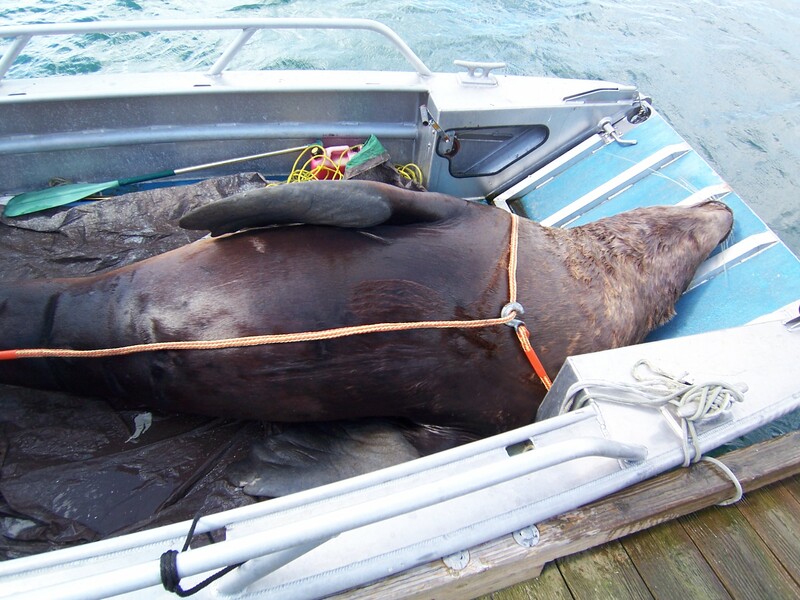 Last Sunday (11/09/2008), Jason Wood and Scott Veirs deployed a receiver that can detect and record the signals emitted by acoustic tags implanted surgically in migratory fish, like the Chinook and chum salmon that southern resident killer whales appear to prefer. 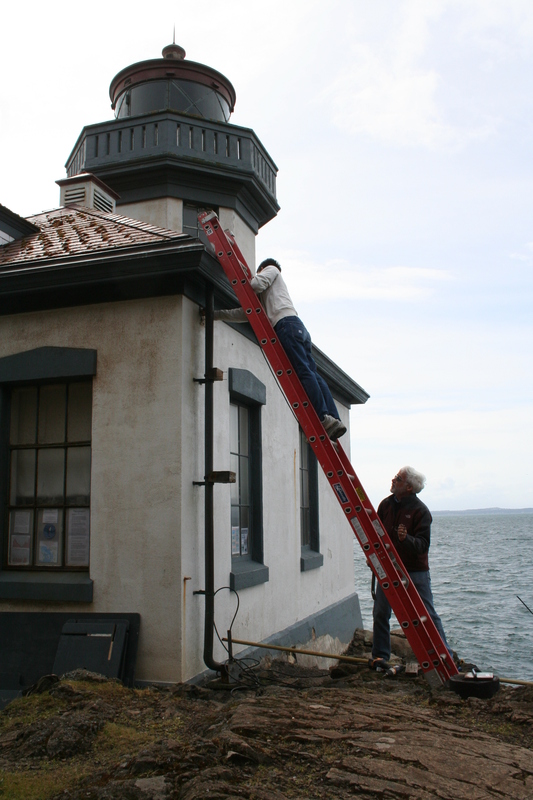 The Vemco “VR2″ receiver, provided by Fred Goetz through a collaboration with UW Fisheries, was deployed during a scheduled maintenance dive on the hydrophones at the Lime Kiln lighthouse. The plan is to retrieve the VR2 in early 2009, download any serendipitous detections that may help in the interpretation of the echosounder data (to be presented at the Puget Sound Georgia Basin conference), and then redeploy it for the remainder of the winter (and perhaps the entire year). The dive went well and lasted from about 11-12am. We enjoyed visibility of about 20m and pleasantly calm seas (it was very rough on Saturday when we initially planned to dive). We cleaned and secured the intertidal hydrophone and echosounder cable protectors, checked the VR2 mooring for buoyancy, and then followed the hydrophone cable to the two hydrophone stands (cement-filled paint-buckets with a broad tripod of embedded rebar). The VR2 was deployed 3m NW of the southern hydrophone and its mooring anchor was tethered to that hydrophone stand’s embedded chain and one of its rebar legs. The VR2 mooring had a total height above bottom of 2m, with the receiver hydrophone oriented upwards about 1.4m above bottom. Since the mooring was deployed in 9m of water when the tidal height was ~2m, the depth of the receiver is about 6m below the tidal datum (0m). 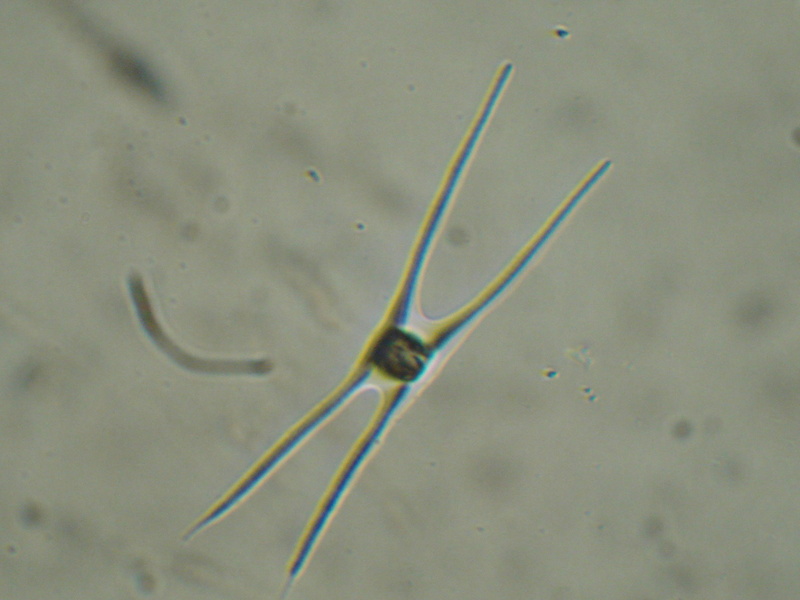 The mooring consists of a ~2m length of 1/2″ 3-strand polypropelene line connecting a ~3kg buoyancy crab float (used in lieu of an incompressible trawl float since minimal compression is expected at this depth), the VR2 (cabled-tied through and around the strands), and a stainless steel threaded shackle (bowlines at both ends). The shackle connects to a loop of 3/16” plastic-coated wire rope that extends through a pier-block (via a 3/4 inch hole drilled through center line). The loop is secured with a clamp and is attached via sheet-bend to the ~4m-long tether (same type of line). All knots’ tails are secured with electrical tape. The float is marked with UW Fisheries research and Scott’s cell phone number. Detailed photos of the mooring, including closeups of each component are available in the Beam Reach gallery.